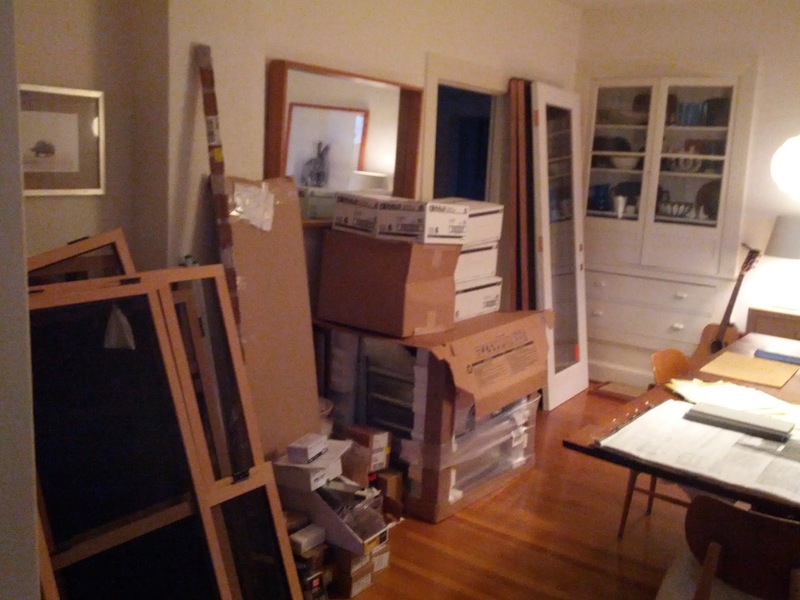 One of the features of being your own General Contractor - you end up with quite a lot of products & materials to store. This is one side of our Dining Room. Here you see doors, screens, an oven, plumbing fixtures, light fixtures, weatherstripping, curtain track, tile, door hardware, nails, and spray foam, among other items. The other wall of the room is similarly stacked.